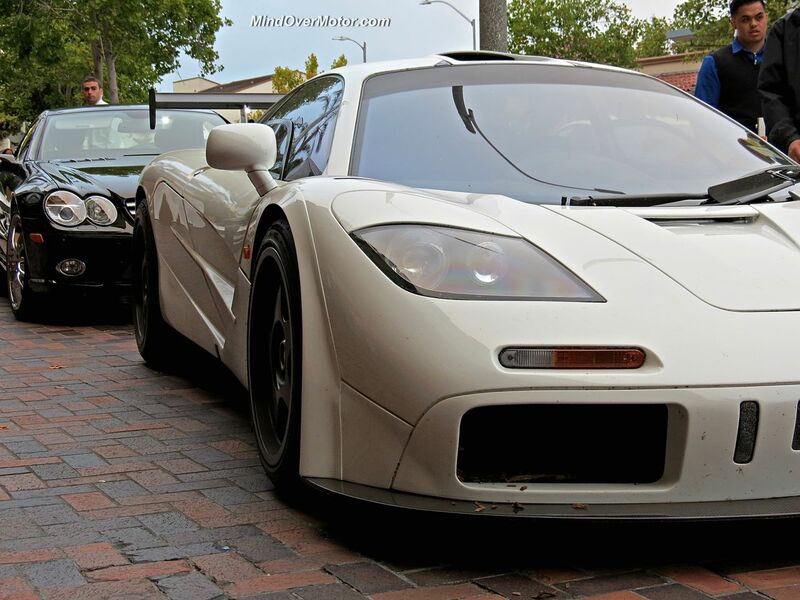 One of our more insane spots out on the streets during Monterey Car Week this year was this immaculate white McLaren F1. 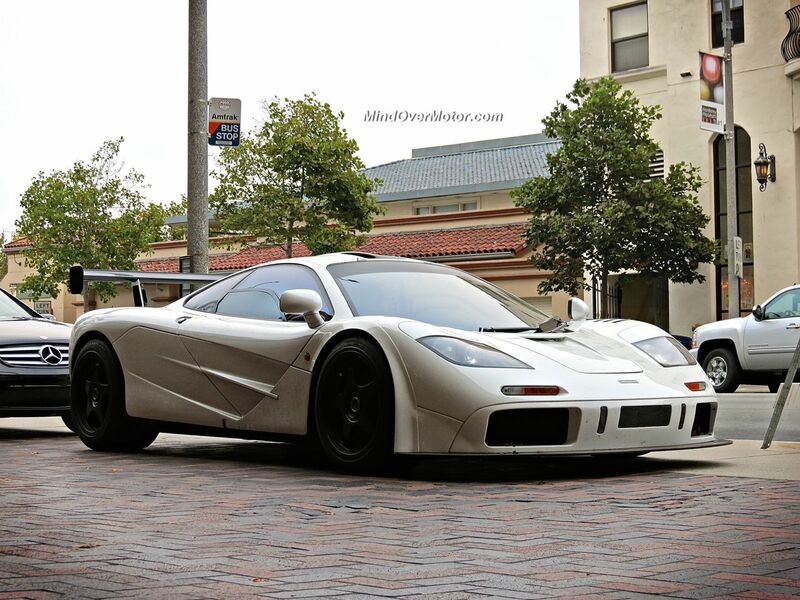 A very rare car indeed, just 65 F1 road cars were produced, and this is one of only a handful fitted with the “High Downforce Kit.” There were not many white McLaren F1s built, and two of the three F1s we saw over the course of the week were white. 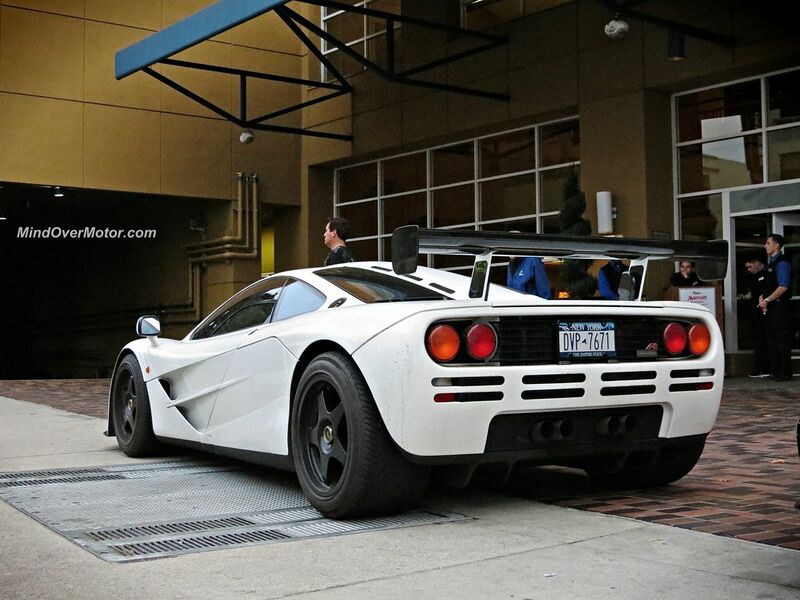 The other white one was up for auction, where it failed to sell at a bid of $10.5 million. So taking a number like that into account, this is quite a good spot. One has to wonder, in the photo above, what is worth more money, the car or the building behind it? Nice! I don’t think I’ve ever seen a white one before! Dont you think its absolutely crazy this thing was made in the 90s… the design and look of this Awesome machine will be for ever timeless!!! Drool!